At Rooted in Rights, we believe everyone should have access to digital spaces and content. This means we are committed to producing and sharing the most accessible media we can, and to training and encouraging others to do the same. We know there are still barriers, and we don’t have all the answers (or the power to change platforms), but we’ll continue to advocate for and push our creative process to include a fully accessible digital environment. A decade ago, most of what we were sharing online was text. That soon shifted to images, and then to video, which is quickly becoming the most popular method of content creation. So, how can we ensure that the videos we are making and sharing online are accessible? On this page, we’ve assembled some information about accessible media that we’ve learned. We hope it can help you think through your own process of accessible media-making, and contribute to an experience that everyone can participate in. For more detailed step-by-step directions, please check out our Video Accessibility Guide we created with support from the Ford Foundation. As an accessibility tool for people who are d/Deaf or hard of hearing, captions provide a real-time, on-screen text version of everything that is spoken within a video, as well as any relevant sounds or inflections (think off-screen cheers, sirens in the background, groans from a class room facing forward, or sarcasm in tone of voice). If these audio-based elements cannot be recovered visually and are important to understanding the story or situation, they should be included in the captions. The inclusion of this additional auditory information is what makes captions different from subtitles. • The Described and Captioned Media Program (DCMP) provides an amazing guide of best practices when it comes to formatting captions. • Here’s a guide to captioning your own YouTube Videos. • Here’s guide for publishing captions to Facebook. • You can also use a paid service to caption your online videos such as Rev or 3Play Media. Audio Description is a separate narrative audio track that describes all essential visual information that is necessary to understanding the story and purpose of the video. To simplify, audio description makes it so that if you were to remove the visual component of your video entirely, your story would still make sense as solely an auditory experience. This is achieved by the addition of a narrator, called the Audio Describer, who describes the important visual elements as they occur. This makes your content accessible to people who are blind and low vision who may not be able to see the video clearly. Audio described videos can also be helpful for people with certain sensory disabilities who are easily overstimulated and/or who would prefer to listen instead. Audio description is often written by professionals who have experience and familiarity with the blind and low vision community. It can be tricky to craft good audio description and it is important to know exactly why and how people will be using it. We encourage all video makers to become proficient at creating their own audio description, but it’s important to make sure you are in communication with blind and low vision folks as you learn and begin to implement. Ask consumers to give you feedback, and if at all possible, include blind and low vision folks in the process. 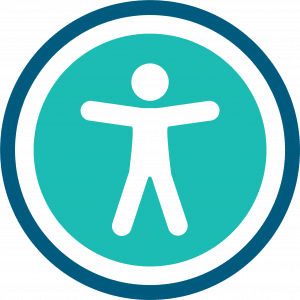 • Here’s a great resource from American Council for the Blind and the Audio Description Project that provides some guidelines and best practices for audio describers. • If you’re interested in hiring audio description services, The American Council for the Blind has compiled this list of audio description service providers. A transcript is a text version of the video. A transcript should capture all the spoken audio, plus on-screen text and descriptions of key visual information that wouldn’t otherwise be accessible without seeing the video. Transcripts make video content accessible to everyone, including people who are unable to view the video due to accessibility or technical limitations of a video player, such as those that don’t support captions. When properly formatted, transcripts can be read in entirety by a screen reader or turned into a Braille document. They are also helpful for people who want to quickly scan or search a video’s content. Transcripts can be made available to your online community by including a link on your website, or within the share text of your online video hosting platform. It is important to remember that online transcripts need to be “machine-readable” so that software programs used by blind and low vision viewers to convert the text to speech or digital Braille have access. Many .pdfs for instance are inaccessible since many of them have “flattened” the text into the document. Text formats like .doc, .txt, and .html are most commonly used for transcripts since the text is recoverable by screen readers. One way to confirm accessibility is by selecting, copying, and pasting a sentence into a new document. If the sentence copies correctly, then it’s machine-readable. • If you don’t want to transcribe your own videos, captioning services like Rev and 3Play Media also offer transcripts. Similar to Audio Description, Image Descriptions and Alt Text are most often used in order to provide people who are blind and low vision access to visual information. But whereas Audio Descriptions are audio-based and primarily used for video, Alt Text and Image descriptions are text-based and meant to describe still images for those who use screen readers to navigate the web, or for anyone who has trouble understanding the visual information in an image. Other things we like to keep in mind. • Avoid using all capital letters unless you’re using an acronym. • Write text descriptions in plain language and avoid run-on sentences. • Use “CamelCase” for hashtags. Example: #RootedinRights, not #rootedinrights. • Put mentions (@) and hashtags (#) at the end of your post. • Use high-contrast colors for text on graphics. Color contrast checker: https://webaim.org/resources/contrastchecker/. • Use a URL shortener for links. • Make sure your website address is listed in “About” section to provide easy point of entry for more information. • If possible, include multiple ways to contact your organization (phone number, online contact form, email address). • Acronyms can be confusing to screen readers; if possible, use full names followed by the acronym in parentheses. • If your phone has built-in text-to-speech (VoiceOver for iPhone) or a text-to-speech app, try listening to your post prior to posting. • CAPTCHA systems may be difficult for people who are blind or have low vision. • Automatic/machine-generated captions are typically inaccurate; have a person review machine-generated captions before publishing. • Avoid using short, vague hyperlinked text such as “click here” or “read more.” This can make it difficult for people with screen readers to understand where a link will take them. Instead, hyperlink fully descriptive text. For example, use the full title of an article or web page to which the link will direct readers as the hyperlink text. • Make sure than any visual element that blinks or flashes at a rate or more than three flashes per second (including videos and GIFs) is small enough to only cover a quarter of an individual’s field of vision. Put a warning if possible. • Include trigger warnings (tw) or content notes (cn) for potentially triggering content, such as content around violence or abuse.